Small businesses have a huge advantage these days if they are innovative and have a powerful value proposition to offer to their customers. However, if your small business model has nothing unique to offer, you will simply fall in line behind a large crowd. This goes for all B2B and B2C businesses. If you frequent marketing or business blogs, chances are you’ve encountered the terms B2B and B2C. What do they mean exactly? Well, if you’re thinking of something complicated and technical, don’t worry. It’s actually pretty simple: B2B is shorthand for business to business while B2C stands for business to consumer. B2B businesses have products and services that are marketed to other businesses. Advertising agencies, office furniture manufacturers, and graphic design services are just some examples of B2B businesses. On the other hand, B2C businesses’ final customer is the consumer. Restaurants, bars, spas, salons, cleaners and the like – (basically, I am trying to list down businesses that people like to come back to if they like the service). These businesses are usually patronized by loyal customers, hence their geo-locations are important. Now that we’ve clearly defined these terms, let’s focus on B2C businesses. Internet marketing offers a world of opportunities, plus it’s amazingly simplified these days, so it isn’t particularly hard for B2C businesses to create their own unique strategies. The technical know-how advantage in internet marketing is more or less “out-of-the-window.” I say this because you cannot manipulate search engine results, and even if you were successful, it will be short-lived. Websites that can bring good referral traffic and social sites are getting intuitive and minimalistic in nature – so really, all you need is some internet savviness. To launch a successful internet marketing strategy these days, all you need is that good ole brain of yours — and, of course, persistence and perseverance in achieving your goals. You’ll go a long way with these two, trust me. 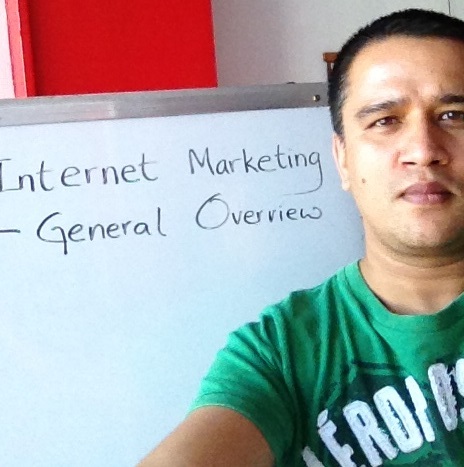 SO, IS THERE A FORMULA IN INTERNET MARKETING? Yes – there is! Hooray! Now, all I can do is present this information generally as it all really comes down to who you’re targeting. You will have to try and get a mix of these ideas and see what will work best for you. For B2C companies, originality, creativity and branding are the most important underlying factors necessary for internet market success. Although price is important, it often can determine what niche of people you want to cater to, making this another uniqueness you can add to your business. Use art, brand message and value propositions that appeal to your target. Is your niche targeted towards the slightly “upper-class”? If so, refrain from prices – focus on what the affluent associate themselves with which is luxury. And, currently luxury is best conveyed through minimalism. If your target is the “middle-class” and the like, you will need to brand yourself, but you have to make your value proposition very clear. Focus on not just the price, but the inclusions in every detail. Navigating through the heaps of networking sites available today might make social media marketing sound extremely tedious. Some marketers even want to have accounts on every single channel available. But that will take up a lot of your precious time. Best stick with one or two channels. For B2C companies, it is recommended to focus on Facebook and Google Plus and the review site, Yelp. There’s no question that Facebook is the largest social media channel with its 1.13 billion daily active users. Now that’s a lot of potential customers. On the other hand, Google Plus is a great tool for Local SEO with its Google My Business feature. I suggest that you keep your Facebook page active on a daily basis. Remember to balance your informational and engaging content and your promotional efforts. Yelp and G+ can give your customers the freedom to post reviews of your company so make sure to get positive ones! Of course, your strategy all depends on who you are marketing to. I find this guide from Aabaco Small Business really helpful in determining which social media site is best for you and your business. Think email marketing isn’t cool anymore? Think again. The email marketing industry is actually stronger than ever before. In fact, compared to a tweet, you are 6x more likely to get a click-through from an email campaign. Also, marketing through email is 40 times more effective at gaining new customers than doing so on social media sites. Because, comparing them to other marketing mediums, email is more personal and professional. Not to mention they’re more transactional. If you want to build strong and lasting relationships with your customers, go for email. Here’s what you can do: first and foremost, you have to get your customers email information and as much as possible, personalize your newsletters. If a holiday is coming up, greet them or give discounts and promotions on a monthly basis. Careful not to overdo this though. Always have a realistic schedule for all your publications. Google loves giving people what they want when they want it — and as near to the person as possible. With the constant rise of mobile and wearable technology, proximity-based searches will continue to become enormously popular in the years to come. Soon, local searches will be centred completely on hyper-specific location instead of just on regional-specific basis. Focus on localizing your website by going for SEO on the domain or homepage landing level. Use NAP Optimization more instead than just the actual link or content building strategies. There are a lot of other tools out there that can further support your internet marketing campaign, but these four are the most essential. This is especially true if you’re managing a B2C company. Remember to test these out as strategies often differ depending on your audience and your business. Read Internet Marketing Options to understand how you can make your own hybrid strategy for marketing on the internet.